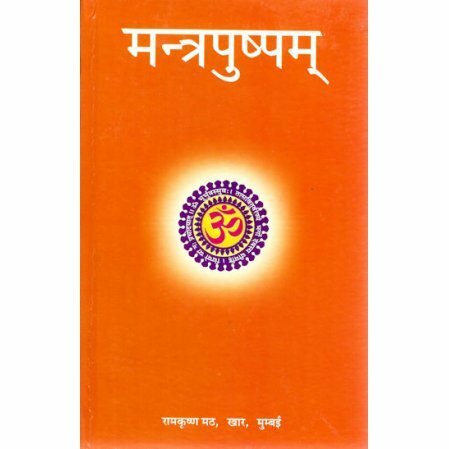 Mantrapushpam is a collection of mantras printed in Devanagari script with Swara marks. It contains hymns from 16 Upanishads, 13 Suktas, as also Rudra, Chamaka and Aruna along with Ghana-Patha and Sama Veda Mantras. Also included are stotras on prominent Gods and Goddesses. Please note that the text is in Sanskrit (Devanagari) only. Our edition is the tenth edition printed in 2016. We also sell a 5-volume set of audio CDs that contain the chants from this book. Pros-Various Mantras,Verses , Prayers written in Devnagari Sanskrit along with markings to help pronounce them correctly. For example Sri Rudram, Durga Sutam , Narayan Suktam,ganesh athrrvashirsham, Navgraha shlokas,Suvarnamala Stuti chapters from Upnishads etc etc I liked it. Easy to use. Cons-Some are probably incomplete. For example Suvarnamalastuti for Shiv Parvati ji has only 15 shlokas and those too ate not in order. I did not check all nor have so much knowledge but it is common sense to have whole stuti not just a few verses) if they are going to include it in the book. Some mantras are repeated in different sections. Overall good book if you like to recite few mantras for your prayers and religious study. It is an Excellent book. It is a great joy to be a part of the Vedic Chanting sessions conducted by Swami Devarupananda (Ram Maharaj) in Mumbai. It is a book filled with spiritual enligthenment and brightness for everything in life. Great Effort by Swami Deverupanandaji Maharaj to simplify Vedic Chanting for everyone. This book is essential for the study of Veda, Upanishads or Stotrams. All in Devanagari (Sanskrit) with accurate Swarams!